- 본 팬미팅은 회차당 1인 4매까지 티켓 구매가 가능합니다. - 본 공연은 전석 지정좌석제이며, 지정된 좌석 이외의 다른 좌석으로는 이동하실 수 없습니다. - 티켓의 취소, 변경, 환불은 인터파크 티켓 규정 내 정해진 기한 내에만 가능하며, My티켓>예매/취소내역에서 직접 취소 또는 인터파크 티켓 고객센터(1544-1555)를 통해서 예매를 취소하실 수 있습니다. - 티켓은 팬미팅 당일 변경 및 환불이 불가합니다. - 만 7세 미만의 미취학아동은 청각에 무리를 줄 수 있기 때문에 관람이 불가능하오니 양해바랍니다. - Organizer: Live Impact Ent. - All seats are reserved seats and cannot be changed. You will only allowed to stay in the seat you reserved. - A cancellation, change or refund of ticket is only possible within the time period stated through Interpark Ticket. To cancel the ticket, please access My Ticket>Order/Cancel or call Interpark Customer Support Center(+82-1588-1555). - A change or refund of the ticket on the day of the fan meeting is not possible. 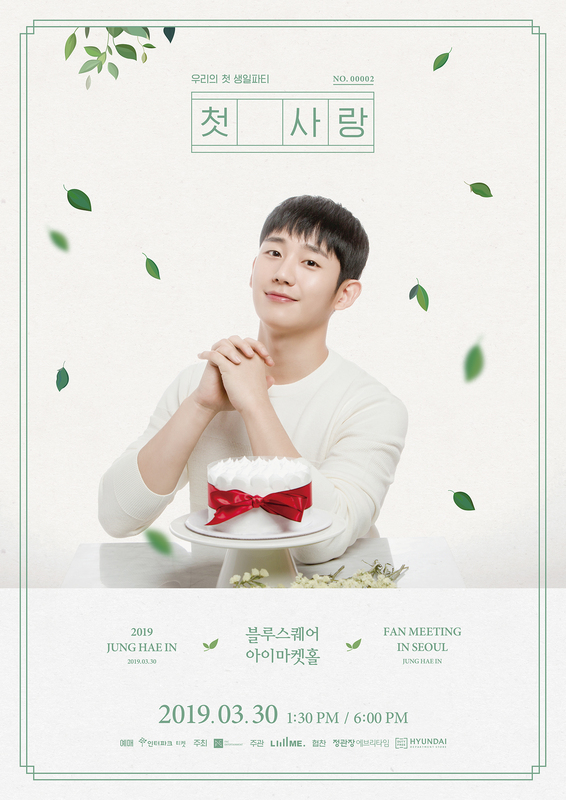 - Please note that children who are under 7 years of age will not be allowed to attend the fan meeting as it may cause problems for their hearing. - 主管单位: Live Impact Ent.